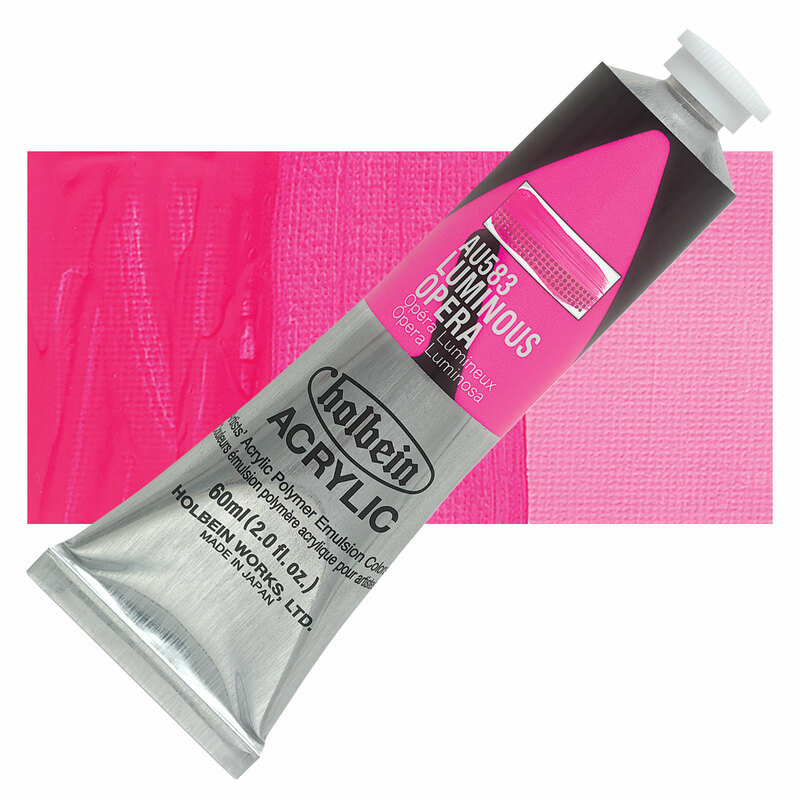 Holbein's luminous colors offer brilliance and high chroma not found in conventional pigments. Because they contain fluorescent dyes and pigments that are fugitive, this brilliance will fade and the colors will shift with exposure to ultraviolet light. The luminous color series are best suited for works that are temporary, or that are meant to be photographed and used in a digital format. Fluorescent pigments such as BV11 offer intense and brilliant effects because they absorb ultraviolet light and re-emit light at longer wavelengths. Like all fluorescent pigments, BV11 is not considered permanent. It will fade with exposure to ultraviolet light. Rhodamine dyes are often used for microscopy in the biological sciences. Rhodamine 6G is often used as a laser dye. Basic Rhodamine Yellow, Rhodamine 590, Pigment PR81.